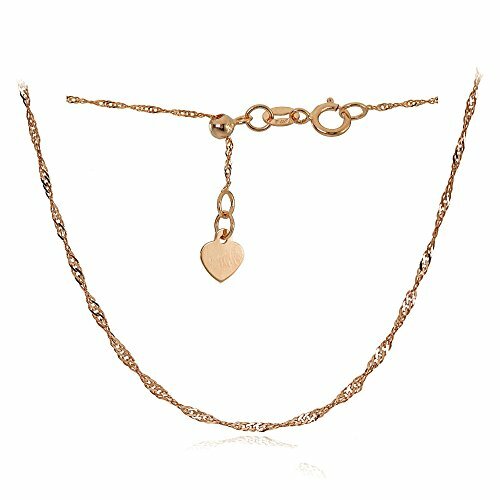 This Italian anklet features a singapore twist design in 14k rose gold, .9mm wide. It showcases an adjustable clasp with a dangling heart for design and fit. It opens with a spring ring clasp. The bracelet extends up to 11-inches.